Point solutions are an inadequate for managing quality and compliance. Many companies choose point solutions to manage quality because of their lower initial price. But, point solutions end up costing more to maintain, and create a lack of visibility across the supply chain. They also increase the risk of safety issues that can lead to product recalls. 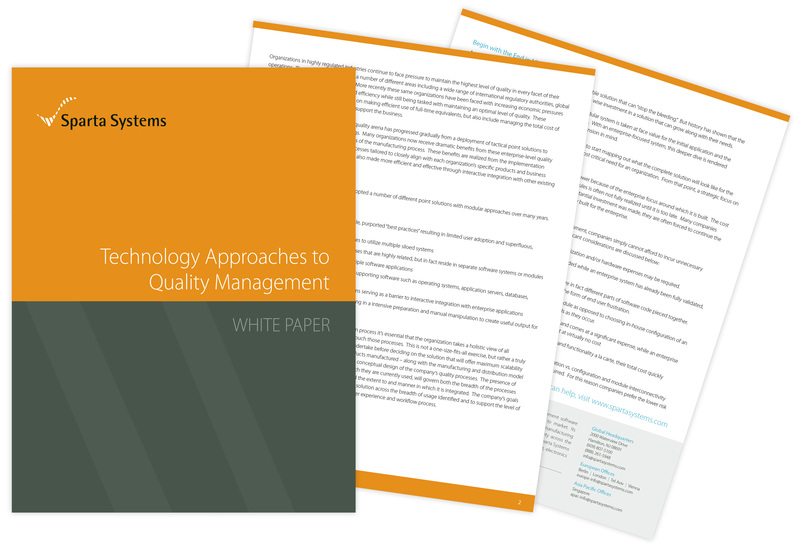 Read this white paper to learn why you should implement a complete QMS solution. © 2017 Sparta Systems, Inc. All rights reserved.